Auditions for The Christmas Revels occur once each year. Auditions for the Adult Chorus are held in May or June. Auditions for the Teen Chorus (grades 9-12) and Children’s Chorus (grades 3-5) are held in early September. Performing in The Christmas Revels requires a large time commitment. From September through November, adults and teens rehearse together every Wednesday evening and the children’s chorus rehearses every Wednesday afternoon. All performers also rehearse on one or two weekend days each month and every night during the week before opening; everyone performs in all 8 shows. All youth auditions dates for the 2019 Christmas Revels have been scheduled, however we will not begin taking appointments for kids & teens until August. Please sign-up for our online newsletter to learn about upcoming events and audition information. Learn more about this year’s Christmas Revels and our other past productions. 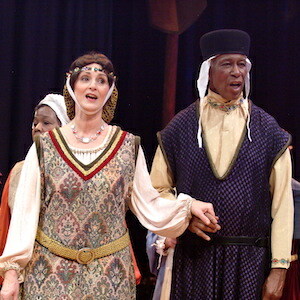 See video clips of past Christmas Revels performances here! For information on the selection process for productions and programs other than The Christmas Revels, please read the information on the Other Opportunities page. The core of each year’s Christmas Revels production is the volunteer chorus made up of adults, teens and children. Although the choruses for each year’s production include veteran performers, Washington Revels values the presence of new singers each year. We also look for a variety of ages, ancestries, sizes and personalities to create a realistic “village” on stage. People of diverse cultural backgrounds are encouraged to audition. Washington Revels’ choruses are the recipients of two Washington Area Music Awards in the Choral Group category. We seek strong and enthusiastic performers. Cast members are people who love to sing, who sing vigorously and accurately with a good sense of rhythm and who can hold their own part in a choral context. Some are experienced choral singers, some are not–they have a wide range of musical backgrounds and skills. Sight-reading is not necessary, but a good ear and the ability to learn and memorize music is. Theatrical experience of some kind is helpful, but not required; the ability to be comfortable on stage is important. 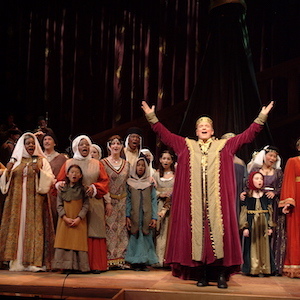 We may not be a good match for performers seeking a “Broadway experience.” While The Christmas Revels is “big” theater, on the scale of grand opera, it is unlike Broadway-style musical theater. The Christmas Revels is principally an ensemble show; some songs may have solo verses or phrases, but very few are pure solos. Every performer has at least one featured moment on stage, but there are no “starring” roles. The heart of a Christmas Revels is group singing and community celebration. While professional performers are welcome to audition, participation in the Christmas Revels choruses is unpaid. We do not charge a set chorus fee; however, chorus members are asked to make a small contribution to help defray our costs for costumes, makeup, production food, etc. The contribution can be discounted or excused for financial hardship. Adult chorus auditions are held every year on a Friday evening and Saturday morning over a single weekend between mid-May and early June. The specific dates are announced in February or early March both in our monthly e-newsletter — you can sign up on our home page if you haven’t already — and on this web site. Be prepared to sing 2 short audition pieces of your choice without accompaniment. Your song selection can be from any era or genre with the exception of “pop” music or show tunes. Traditional songs, seasonal carols, folk tunes, and hymns are recommended. Don’t try to impress with something difficult — often a simple song well sung is more effective than a more complicated one. Just sing something you love and know well. The entire audition process takes about 60-90 minutes and also includes performing some simple dance steps and singing with others. In addition to this information, please also read the general page What We Look For. Please be sure to review the 2019 ADULT CHORUS REHEARSAL & PERFORMANCE SCHEDULE — at your audition you will be asked to commit to that schedule in writing. The AUDITION FORM will be posted shortly. Check back soon and please fill it out in advance of your audition. Teen chorus auditions are held every year on a Saturday afternoon in early September. Teenagers bring a special energy and enthusiasm to our Christmas Revels productions. 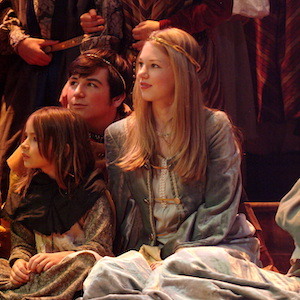 In addition to joining the adult chorus on many of their songs, teens are often featured in the show. They are integral to the creation of our onstage community. Auditions are open to teens entering grades 9-12. Washington Revels is looking for teens who are comfortable and confident on stage, who work well in a group, and who can share their emotions and enthusiasm with each other and the audience. The Christmas Revels is unlike the Broadway-style musical theatre productions they may have experienced. This is principally an ensemble show, and does not usually feature solos or specific roles for which teens can audition. We ask a lot of our teens, but the rewards are great, both in terms of experiencing a major, professionally staged production and in the relationships they build, not only within the teen group, but with the entire Revels community of performers, production staff and volunteers. Auditions are low-key and lots of fun. Teenagers are seen in groups of 6 -10. Each auditoner is asked to prepare a short song to sing unaccompanied. The song selection can be from any era or genre with the exception of “pop” music or show tunes; traditional songs, seasonal carols, camp songs, folk tunes, hymns are recommended. Don’t try to impress the directors with something difficult — often a simple song well sung is more effective than a more complicated one. Just sing something you love and know well. Group singing and dancing are also included in the audition — the whole process should take about an hour. No special shoes or clothing is necessary, but you should be dressed to move. Teenagers cast in a Christmas Revels rehearse with the adult chorus every Wednesday evening from September – November, from 7:15 to 10:00pm, usually at the Washington Revels Studio Space in Silver Spring, MD. In addition, there are some weekend rehearsals with the full company, as well as in-theater rehearsals at Lisner Auditorium during Tech Week before the show opens. All youth auditions dates for the 2019 Christmas Revels have been scheduled. However, we will not be taking appointments for Teens and Children until August. Please sign-up for our online newsletter to learn about upcoming events and audition information. Children’s chorus auditions are held every year on a Friday afternoon and Saturday morning in early September; callbacks are held on the following Sunday afternoon. The children’s chorus plays an important role in every Christmas Revels. They sing and dance in a featured set in each of the two acts, and are woven throughout the production with their stage families. 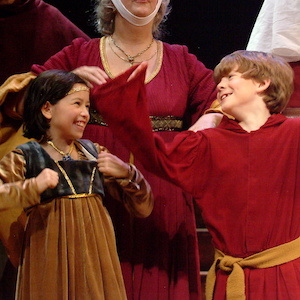 Revels children are integral to the creation of our onstage community. Auditions are open to children entering grades 3-5. Washington Revels is looking for children who are enthusiastic, musical, comfortable on stage and happy working in a group. Revels children appear more “natural” and can be loud and boisterous or quiet or calm; they are not seeking a flashy or “Broadway”-type theater experience. We try to get a range of ages, heights, personalities and diverse looks, just as we do in the adult and teen choruses. The audition process is low-key and lots of fun. Children are seen in groups of 6-10 and should be finished in about an hour. They will be taught a simple song or two and we will play together, as the ability to enjoy group play and receive instructions in a relaxed way is important. Each child should prepare a short unaccompanied song to sing; this should be something simple that they are comfortable with and enjoy singing (something from school or camp, a carol, folk song, even “Happy Birthday” can suffice — no pop, please). All children auditioning will be cast in one of two productions, the 2017 Christmas Revels or our 2018 May Revels. The Christmas Revels children’s chorus rehearses for The Christmas Revels on 10 Wednesday afternoons from 4:30 to 6:00pm, at the Washington Revels Studio Space in Silver Spring, MD, beginning in mid-September. In addition, the children attend some weekend rehearsals with the adult cast, as well as in-theater rehearsals at Lisner Auditorium during Tech Week before the show opens. The children who are invited to perform in the May Revels rehearse on Wednesday afternoons starting in late March or the first week in April. 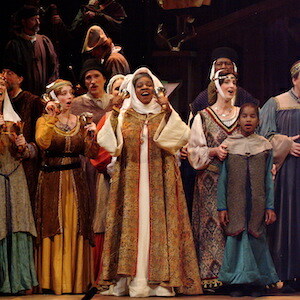 They join the adult and teen choruses for 2-3 rehearsals in the two weeks prior to the performance, which takes place on the first Sunday in May. There are no adult or teen auditions for May Revels. Except for children, the May Revels chorus is made up of former Christmas Revels chorus members and people who have volunteered significant time to Washington Revels during the past year. The children’s chorus for May Revels is cast from the children who audition in September for The Christmas Revels. The children rehearse for May Revels on Wednesday afternoons starting in late March or the first week in April; they also join in a dress rehearsal with the full cast shortly before the performance, which takes place on the first Saturday or Sunday in May. To inquire about auditioning for one of our performing ensembles, please send an email to info@revelsdc.org with your contact information. No audition (or experience) is required to participate in our monthly Carpe Diem Arts-Washington Revels Community Sing or in the Washington Revels groups that march in the annual Takoma Park Independence Day Parade and Kensington Labor Day Parade. Just come on out and join the fun!